Some ten years ago, Johannes Gutenberg University Mainz (JGU) entered a new field of research by starting to generate ultracold neutrons (UCN) for use in fundamental research in physics. Now that the new upgrade was installed, the participating researchers, physicists, and chemists can report another major breakthrough. They have been able to increase the UCN yield of their source by a factor of 3.5. This means that the prerequisites are now in place that are needed to begin the more sensitive measurements required to determine the lifetime of the free neutron. Neutrons do not normally exist in a free state but are instead bound as neutral particles within the atomic nucleus. Free neutrons are unstable and decay with a lifetime of approximately 15 minutes. The TRIGA Mainz research reactor can generate thermal neutrons, which—by being brought into contact with solid deuterium at roughly minus 270 degrees Celsius—are furthermore slowed down so that they travel at just approximately five meters per second. At this velocity, free neutrons can be stored and utilized in experiments. Scientists involved in fundamental research are particularly interested in determining the properties of these free neutrons, especially their lifetime and electric dipole moment, by means of highly accurate measurements. These have recently been supplemented by experiments to determine the electric charge of the neutron. „The limiting factor in all these experiments and measurements is dictated by the density of ultracold neutrons we can achieve,“ explained Professor Werner Heil, one of the scientists at the UCN facility of Mainz University. With this set of measures, the scientists have succeeded in storing 8.5 UCN per cubic centimeter. „Compared to our previous results we were able to increase the UCN yield by a factor of 3.5,“ emphasized Professor Norbert Trautmann of the JGU Institute of Nuclear Chemistry. The storage vessel employed was a standardized stainless-steel cylinder, specially supplied by the Paul Scherrer Institute (PSI) in Switzerland for normed measurements. This vessel used for a comparative study of ultracold neutron sources in operation has a volume of 32 liters, which corresponds to typical storage vessels for UCN experiments. This setup is generally regarded as the most reliable way of undertaking the corresponding measurements. A density of 8.5 UCN per cubic centimeter puts Mainz in the premier league in this respect. „We are now fully competitive with the world’s leading institutes in the field,“ stated Heil. „The increased UCN density is particularly important for lifetime experiments, which should start soon,“ added Professor Tobias Reich, head of the JGU Institute of Nuclear Chemistry, which accommodates the TRIGA reactor. 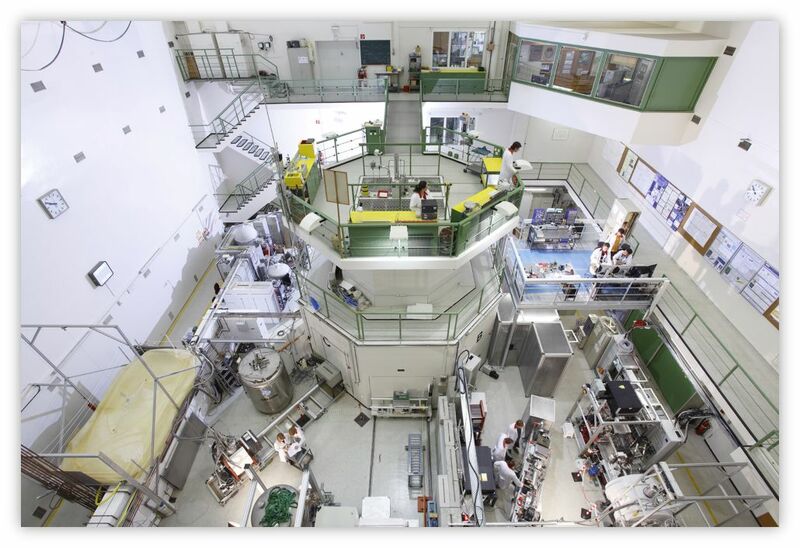 The experiments will be performed within the framework of the Precision Physics, Fundamental Interactions and Structure of Matter (PRISMA) Cluster of Excellence at Mainz University, which has provided funds for the development of infrastructure and for personnel at the Mainz UCN source. Thanks to the improved performance, the scientists are confident of achieving an enhanced quality of their experiments in the future in a much shorter time. Exactly determining the lifetime of the free neutron is of major interest because the two commonly used methods, i.e., storing UCN in material vessels and the ’neutron beam method‘ used to detect decay products (protons) in flight, yield different results. This may be due to either unrecognized systematic errors or to possible exotic decay channels, an indicator for physics beyond the Standard Model. 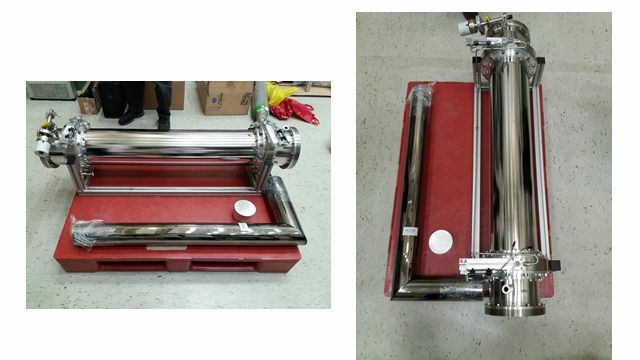 The UCN measurements were carried out using beam tube D of TRIGA Mainz. This source is mainly operated in pulse mode and is also available to external users. „For future experiments, such as lifetime measurements, we will be able to utilize the source in double-shift operation for three weeks from 8 a.m. to midnight,“ added Dr. Christopher Geppert, manager of the TRIGA Mainz.